There’s a dog-friendly casino on the beach where the oysters are fresh and the Yeungling is cold. I’d call it Heaven but let’s face it, if it were really Heaven, I might not have gotten in right away. Fortunately, I was able to make a reservation at Harrah’s Gulf Coast Casino in Biloxi and spend a whole weekend Christmas’ing on the gulf coast. We actually started planning our trip to Harrah’s about a year ago when some girlfriends of mine were there trouble-making and saw a dog. That alerted me to the fact that this was someplace Henri and I needed to go. I reached out to the marketing department but the hotel was just beginning a major renovation that wouldn’t be completed until late spring. They got busy. I got busy. The ball got dropped, and then it was football season and we were left trying to find an away game weekend. Turns out it was the perfect time to head to Biloxi. Not because of the weather but because of the season. 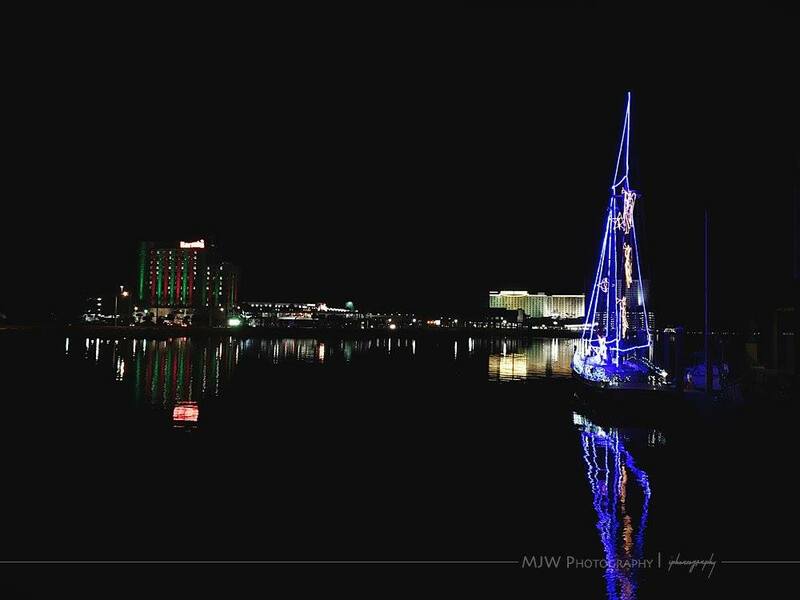 In only three nights, we managed to catch a lighted boat parade that cruised right past the hotel, a Christmas arts and crafts festival, and a holiday open house. Not to mention good food and finally finding a bartender who can make a Cosmopolitan as good as my Dad’s. 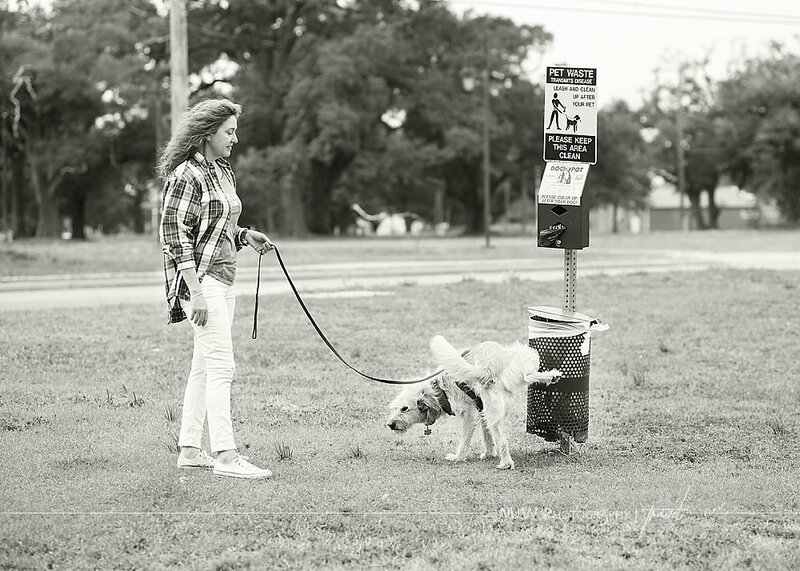 Playground of the South, Redneck Riviera, whatever you call it, Harrah’s Gulf Coast is the place to be if you’ve got your pooch in tow (and even if you don’t). This boutique casino offers everything you need for a few days of anything you choose with an ocean view. Fine dining? Check. Sports bar? Check. Golf course? Check. Spa? Yes. Gambling? Duh. And if you want to head to the beach, take in some maritime history, or a do a little shopping, it’s all nearby. What’s more…valet at Harrah’s is FREE so getting in and out is a breeze! Unlike a lot of places, when Harrah’s says pet friendly, they mean it. 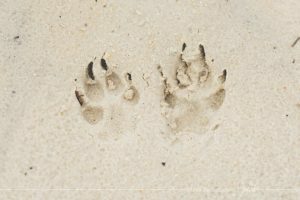 There are seven rooms set aside specifically for guests vacationing with pets. They feature tile flooring (reason enough for requesting one even if you don’t have a dog) and are all conveniently located in one area on the second floor. For potty duties, head to the ground floor, go out the door, hang a right on the sidewalk and walk straight to the designated area. You can’t miss the green space with the potty station and it couldn’t be more convenient. The property is owned by Harrah’s and designated for their furry friends. I’ve suggested they fence it for absolute perfection, but it’s pretty great regardless. I don’t know of any other hotel that has this type of space. One warning: You WILL need to check your pooches paws after walks here. There are lots of burs. I pulled several out of Henri’s paws and stepped on one or two that had been shed onto our hotel room floor. If traveling with a pet (not a service animal) be sure to mention you need a Pet Stay Reservation. You can also request treats and a hang tag for your door. It isn’t included on the amenity form but it is available. I was told this is an “area of opportunity” and I suspect you’ll see changes to this in the near future. 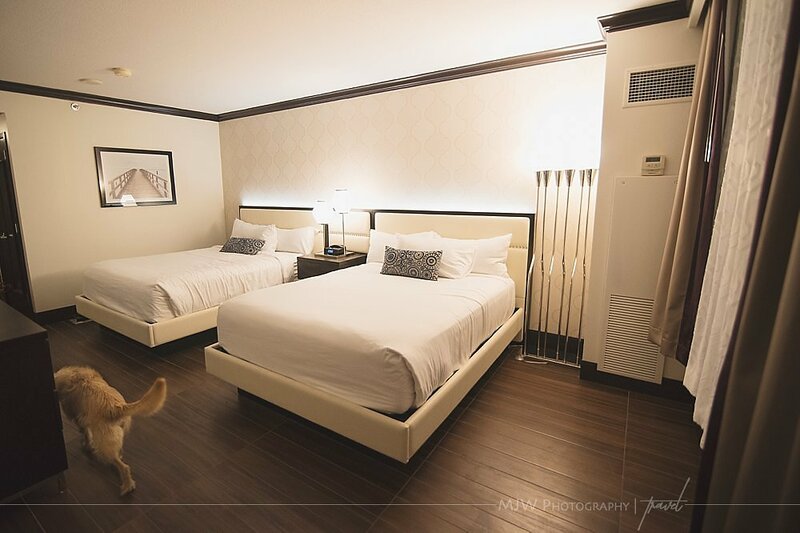 Pets are limited to two dogs under 50lbs per room and there is an extra $50.00 per night fee. 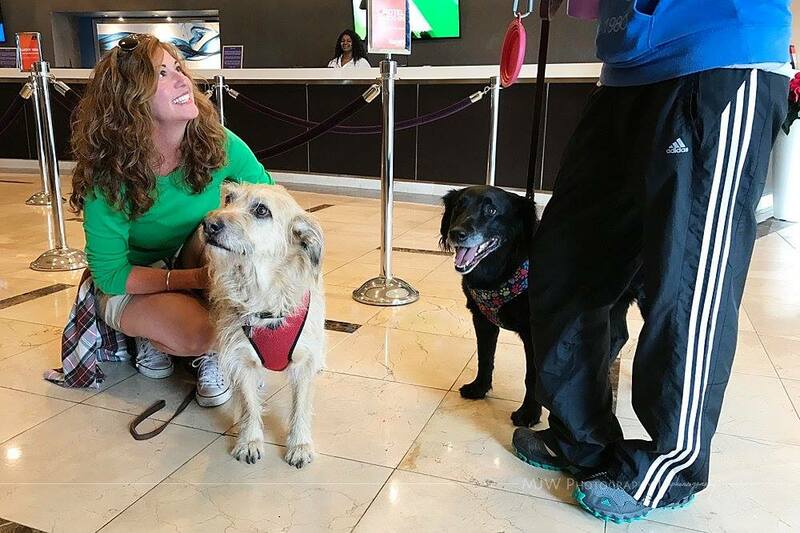 Dogs are allowed in the lobby and hallways, and no one seemed to mind if we sat in the cafe, but pooches are not allowed in the pool area, casino, or dining areas. There is one other casino on the strip that allows pets, but you can’t leave your pet in the room unattended. That’s not very vacation friendly, if you ask me. Henri has no use for gambling. Harrah’s Gulf Coast boasts one of the LEAST smokey casinos I’ve ever visited and the craps dealers are patient with learners; I’ll skip the discussion of my success at blackjack. 16 gets me every time. Knowing I’d spend at least some time at the gaming tables, I came prepared with a trash bag in my suitcase (a little trick I learned from my parents) for my smoke smelling, casino floor clothes, but I didn’t need it. Granted it was off-season on the coast but we made it to the floor both Thursday and Friday nights, and my allergies did not suffer. Another place I visited both Thursday and Friday, and I admit it, Saturday too, was Magnolia House. Magnolia House by Kelly English is Harrah’s fine dinning restaurant. My first experience with their service was Thursday night when we arrived. I’d just spent nine and half hours in a car and I didn’t do it to eat ‘bar food’. I wanted oysters. Raw oysters. Those aren’t on the menu at Mix and Mingle sports bar and at 9:30 p.m. Magnolia would only be open another 30 minutes. The waitress at M&M suggested I run over to the Magnolia bar and get an order to go, which I did. The bartender was only too happy to take my order and not at all put out that I wouldn’t be dining with her. I suspect she was ready ‘to go’ too. 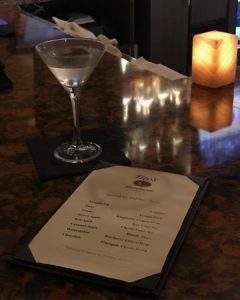 Magnolia House features Tito’s martinis. On Friday evening, we had dinner reservations at 8:00 p.m. When we returned from our day’s adventures I quickly threw on a little black dress and some cowboy boots, fed Henri, then hurried downstairs. Tito’s Happy Hour is from 5-7 p.m. Tuesday- Sunday and I didn’t want to miss it. The bar was full and seemed a good mix of locals and southern characters. Represented were: Texas, Biloxi, Baton Rouge, Alabama, and some poor ol’ guy from Pennsylvania whose football team isn’t in the SEC. Considering the cast, we chose to dine at the bar instead of our table for two. One of the locals suggested that eating at a casino when I was on the coast wasn’t a good choice, but I’m guessing he was about as informed as he was charming (insert sarcasm here). Chef Kelly English is a James Beard Award semi-finalist and was named Best New Chef by Food & Wine Magazine. Using fresh from the region ingredients, he’s put together a menu that gives you no cause to leave. We started with an appetizer of gulf crabmeat au gratin- a gooey, cheesey bowl of delicious served with fresh French bread. My photographer, Mindy, had Big Daddy’s King Salmon with wild mushroom fried rice, wilted spinach, and ginger soy broth. On the bartenders recommendation, I ordered Gulf Snapper with sauce Ponchartrain and market vegetables. Don’t ask me specifics about the vegetables because they don’t matter. Sauce Ponchartrain is all you need to know. By the time we were finishing our meal, it was getting close to 10:00 and the bar was shutting down. We skipped dessert, but overhearing my comment that “I only drink my Dad’s Cosmos because no one ever makes them right!” Jeanne, the bartender, felt personally challenged and obligated to show off a little. Her name is Jeanne. You want her to make you a Cosmo. You will probably want her to make you more than one. Let me remind you that Tito’s Happy Hour is Tuesday- Sunday from 5-7 p.m. and Cosmos are $2.00. You’re welcome. There are currently five dinning options at Harrah’s with a soon to be added sixth. 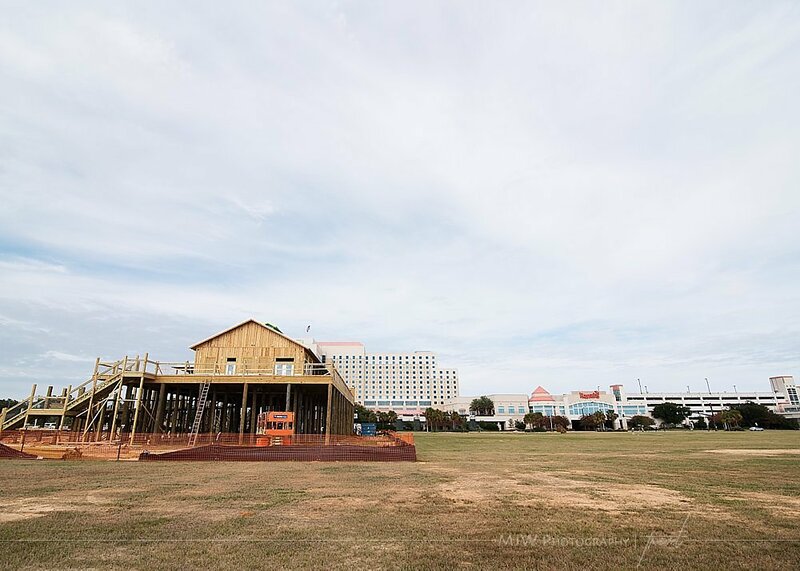 The sixth, an open-air bar and restaurant is under construction on the 10.5 acre Great Lawn and will have a dog-friendly patio overlooking the water. The Blind Tiger is guaranteed to be the best seat in the house for summer shows on the lawn, as well as the perfect place to watch next year’s lighted boat parade. Both the restaurant and the green-space are connected to the casino by a crosswalk that extends from the gulf-facing pool deck over the four lanes of street traffic, offering guests safe passage to and from the hotel to the restaurant and lawn. The Great Lawn is technically an event venue and dogs won’t be allowed during concerts and festivals, but it’s worth a mention because they are allowed the rest of the time. It’s not a place you’ll go for quick potty duties, but if you have a pup that is reliable off-leash, it’s perfect for an afternoon game of fetch. I always try to keep in mind that no matter how well-behaved Henri is on our travels, he’s still a dog and needs the freedom to act like one on occasion. I figure after being ushered from ship to shop all day, he’s earned the right to romp. 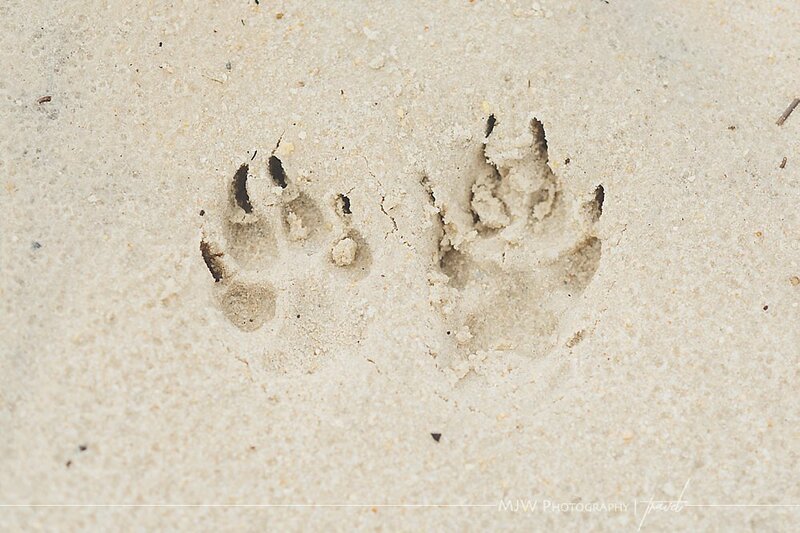 Leave paw prints, take pictures. Although the beaches in Biloxi (Harrison County) don’t allow dogs, Harrah’s is still the perfect place to stay. It is right in the middle of everywhere we wanted to be. We could walk to the Maritime & Seafood Industry Museum’s Schooner Pier Complex for a dogs-welcome cruise aboard their 65 foot schooner; a 5-minute drive took us to Main Street Biloxi for Christmas in the City on the Rue Magnolia; less than 20-minutes got us to Jones Park in Gulfport for the the Harbor Lights Winter Festival; and over the bridge only seven minutes away was downtown Ocean Springs– my very favorite part of the trip. We’ll tell you more about our adventure and all the great dog-friendly places we discovered and people we met, including where the beaches are, in part two, Christmas on the Water. In the meantime, check out the amazing photos by MJW Photography in our Facebook album, or follow us on Instagram and Twitter using @MyTravelTails. We’re always up to something and you never know where we’ll go next. I look forward to reading about Ocean Springs. I was SO charmed by Ocean Springs. I’m writing now and can’t wait to share it with you. Thanks for reading!